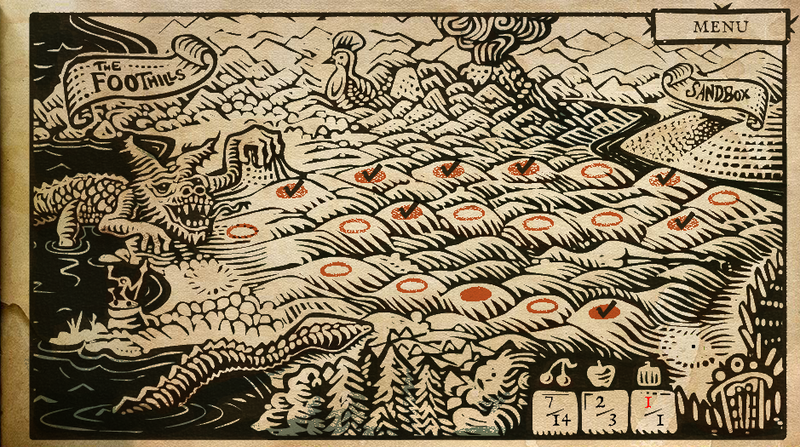 I wanted to do something nice in Incredipede for transitioning between screens. 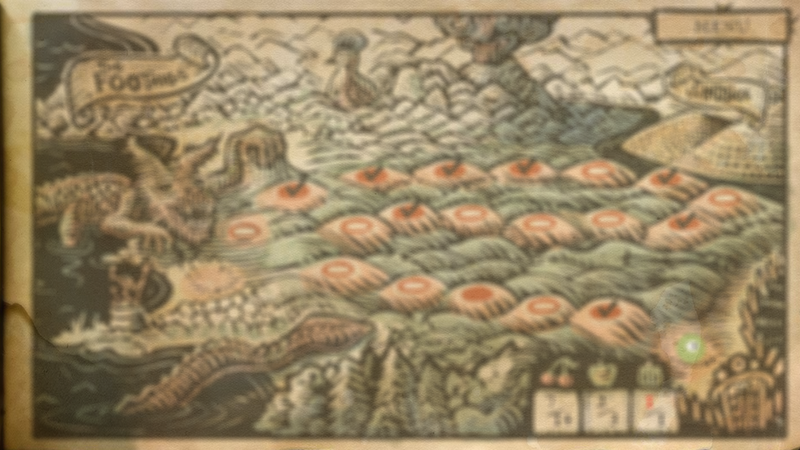 Instead of just flipping boringly from the title screen to the game map, for example, I wanted it to look like the ink was being pulled off the paper and then reprinted with a map. Like you could see the press pushing the ink into the paper. You can see what I came up with by watching the begining of the video in my “How do You Play Incredipede” post. I asked my friend at Gaijin Games, Andrew Hynek, who wrote an amazing looking ink game called Drift Sumi-e for some suggestions. I ended up mangling his ideas into something more me. That is, something simpler and easier to implement. Incredipede is written in Flash using Stage3d. I use the Starling 2d API because it makes my code simpler and faster. One of the things I love about Stage3d is that I get to write shaders! In assembly! I find this really fun and I wrote a few posts on pixel shaders here. Kind of awful. If you click to enlarge it you can see how individual pixels end up being pulled out of solid spots of colour. The fade ends up looking super pixely, like something from the 80s. Another problem is that all the black pixels just disappear all at once at the very end of the fade. This is pretty bad but it was a good enough idea to start with. Sarah and I happened to be in Nice with our friend Marc ten Bosch while I was working on this and while we were all walking along an old aqueduct we discussed how to make it better. We thought about using noise to make the effect more organic but eventually came up with the genius idea to use a blurred mask. Even if you don’t know agal assembly this shouldn’t be too hard to read. Most of the code is getting perceived brightness of the pixel with a formula from some friendly people over on Stack Overflow. All it does is take the brightness, check to see if it’s greater than our fade constant and doesn’t draw the pixel if it is. Now, here is the clever trick that makes it look good. Instead of looking at the pixel in the image I look at the pixel of a blurred version of the image. I still draw the pixel of the normal unblurry image but I use a blurred image to decide whether to draw it or not. So that’s how the Incredipede ink fade is done. I admit that there is a little hand-waving magic here. You have to know how to render-to-texture and write custom shaders in Starling. Which is not terribly easy. And you have to be able to blur your image on the fly. 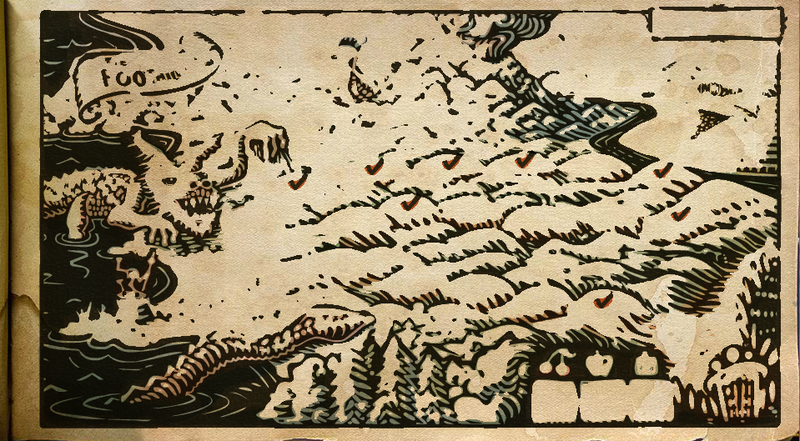 The blurring is actually way harder than the ink-fade transition. I based my blurring on the work of Lars Gerckens. Mostly I hope this inspired you to try some cool shader tricks of your own! They are pretty fun and you can get some great effects. This example is taken from my game Incredipede, if you don’t already know what Incredipede is you can head over to Incredipede.com to check it out. 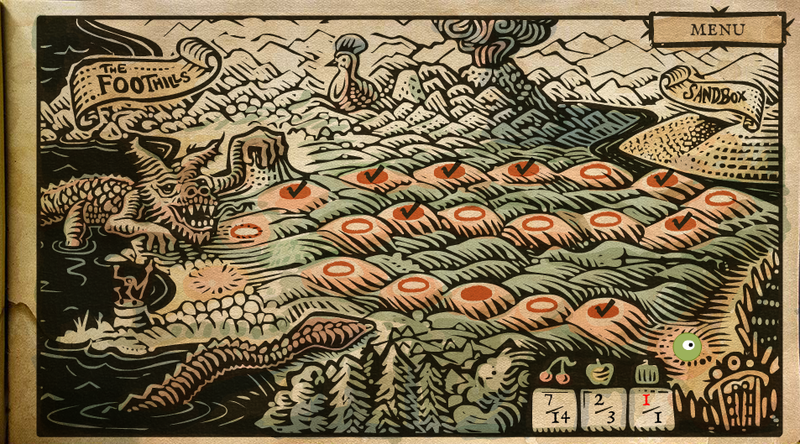 ← How Do You Play Incredipede? I’m a Flash dev addict but I’ve been dragging my feet on diving into Stage3D… this is making me realize some of the reasons I should really pick it up. Wow, Thomas’ work is amazing, and the way you integrated into the game is awesome! Nice effect, but why do you have to blur the image on the fly? If it’s a static art asset, it would be much more efficient to just blur it beforehand. Obviously, you don’t want to waste memory loading a completely separate texture so you could just store a greyscale copy of the blurred map inside the alpha channel of the main map image (which doesn’t look like it’s being used). Texture lookups in a shader are expensive so this would save you all the ones you need to blur the image as well as the second texture lookup to sample from a separate blur texture. Additionally, this would allow your artist to customize the fade animation. For example, blurring the image and then applying gradient (with “multiply” blending) would make the image be drawn in with a direction that follows the gradient (i.e. left to right, from center, etc) which could be customized for each art asset you want to use the effect on. Or manually trace the lines with a gradient brush and the image will fade in like it’s being drawn. Sorry for the novel, but hopefully that made sense. I’m just a graphics/digital art guy who happened to stumble on your blog and thought your art design for this game pretty great. Keep up the good work. Yes you could definitely do this differently if you don’t need to do it on the fly. I fade into my levels which will have player’s creatures in them so I have to do it on the fly.